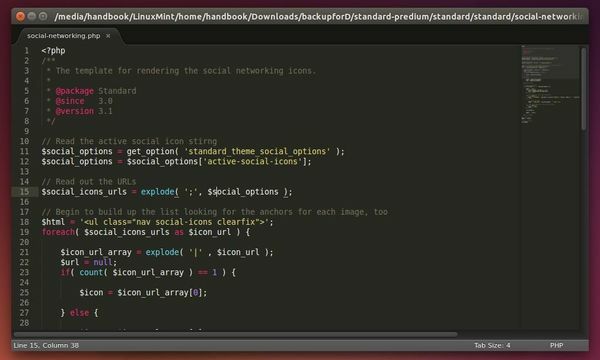 Quick tutorial to install Sublime Text 2 stable, so far its 2.0.2, or Sublime Text 3 Beta in Ubuntu 14.10 Utopic Unicorn. Sublime Text is a close-source text and code source editor with an Python API. It may be downloaded and evaluated for free, however a license must be purchased for continued use. For the features and supported languages, see the wikipedia page. Thanks to WebUpd8 Team, an installer has been made into PPA that automatically downloads the stable or beta release of Sublime Text from its official site and installs it on your system. When running the first command, you will be asked to type in user password and there will be no visual feed back. Once installed, launch the editor from the Unity Dash or menu and enjoy! I am a newbie to ubuntu. Your blog has helped me a lot . Thanks a lot! I have installed sublime text as per-instructed in this tutorial. However, when I click the executable file nothing happens, sublime text 2 does not open. Great explanation of this and f.lux installation. You are great man! Thank you! Thank you my friend it worked like a charm. I installed Sublime 2 on an old tower running Ubuntu 14.04… sweet!